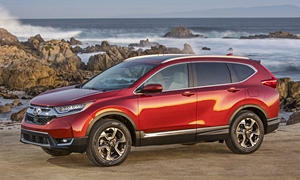 Favorable experience with Honda CRV (leaning toward another) and Toyota Camry (2000 going bad). Subaru is interesting to me. If additional car is too expensive, we will seriously consider being a single car couple. This is an article I wrote on my blog for my in-laws who are in their early 70's. It may not directly apply, but you may be able to glean a few hints from it. 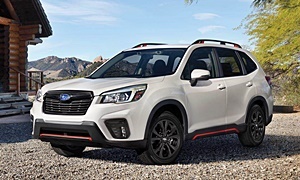 Aside from the article, and another two vehicles that I might consider are the AWD Honda CrossTour, the Subaru Forester, and the Prius Wagon (all cars that we've owned a version of). Seat height was a primary consideration for my in-laws as they didn't want to climb up or down into a vehicle on a routine basis. You may also like to read the other reviews there on my blog (onefastdriver.blogspot.com) which is not connected to any auto-makers or paying advertisers. Used Car Observations For the most part, the best value is one model back from whatever is current - or a classic model that never goes out of style - like the E39 5 series BMW - albeit a sedan in this example. Don't let a car salesman talk you into thinking that it's not going to be there tomorrow. With used cars - especially the generic brands that you're looking at - there will always be another one ... and probably just around the block. Mileage isn't really a huge factor on the brands that you're looking at. Mileage might be more of a factor on the Kia. They all go forever with the right care. Records, though, ARE a valuable item and are worth paying more for. 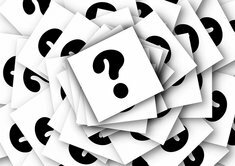 Again, I repeat: Frequent oil changes, dealer service, orderly records, and a good car fax are aspects you should value more than mileage. Don't listen to a dealer who says he doesn't have records but it's gone through their zillion point inspection. Walk away. He is not Obi-wan Kenobi and cannot do a mind-meld on you. A prudent step is to go online to an auto-site like Edmunds.com, Cars.com, or MSN Autos and see when the next service date for the vehicle is and how much it costs. 70k, 105k - both are big ones. Not having a recent timing belt change can cost you several hundred dollars too. Those should be changed every 60-80k miles. Not doing so can be catastrophic. Additionally, 49k, 70k, 89k, and 99k are sales value drop points - ie. they'll be worth less once they hit those numbers. So if a car is at 88k, and you're evaluating its worth, know that in a month of driving, it will have dropped disproportionately in time to value. Tires and Wheels Tires are becoming more expensive these days as many of the small SUVs have at least 17 inch wheels and fairly wide tires. Factor this into your expense calculations. It's easy to say: "Those tires are fine" when the reality is that you don't want your family driving 65 mph down the freeway in a rainstorm on tires that are at 40%. Here's something else to watch: Are the wheels noticeably "curbed"? Not just a scratch or a scrape, but if someone has hit a curb enough to really scrape or gouge a wheel, there's a fairly good chance that the alignment might be out and that the wheel will be bent. Bent wheels create an "out of balance" feeling that does not vary much with road speed. A bent wheel can be a $200 to $400 affair to replace. If there's vibration at a specific speed - like 70 mph - it's likely a wheel balance which is not expensive to adjust. Warnings: Do not EVER buy a car that was flooded, comes from Florida, or smells wet when the doors are closed. If the interior windows have a perpetual fog to them, it's unlikely that the seller's excuse that it's just from shampooing the rugs is legitimate. Small crustaceans swimming in the trunk is another clue. Turning on the AC and running it for awhile is imperative. Recharging isn't too expensive, but replacing the AC compressor is. Operate the moon roof. Take a 32 ounce water bottle and pour water directly onto the moon roof. Keep the interior sliding cover for the moon roof open. You'll have the best luck if you keep the glass moon roof itself closed (: There should be no leaks or signs of leaks. These gaskets can be fairly spendy to replace. When you open the hood, check to see that the bolts that screw the quarter panels down don't have "broken paint". If, for example, the bolts are a different color or are scratched or are obviously exchanged, it's very likely that the vehicle was in an accident, and that that particular part of the car was replaced. Look at the car from the back to front in the sunlight, checking for "orange peel" in the paint. This will be a sign of re-painting. Bumper gaps usually indicate a decent bump from behind/front from someone else. One where the bumper slants downward can be expensive if you have to re-set them. They won't detract from safety, though. Cars that have swirls in the paint from car washes sometimes indicate a company, lease, or rental car - which people seem to have no qualms driving the snot out of. Don't buy a rental car. Leased vehicles can be OK if you have records because they often include maintenance in the lease (for the previous owner). It's no great sacrifice for the lessee to take the vehicle in to get serviced, and it's part of the lease agreement. Personal Observations If it were me, I'd probably take a very close look at a Honda CRV, a Mazda CX5, or a Buick Endeavor. I was probably most impressed by the Endeavor from the inside - definitely a luxury feel and very nicely stitched leather. You wouldn't know that you weren't in a $50,000 car. It's very quiet and has good gas mileage. That's a car I'd probably buy. I'm not in love with the looks, though. Some might even call them strange. The Mazda CX5 had very nice handling and is nice looking too. Most wouldn't know they weren't driving a sporty car if they couldn't see the exterior. It corners that well. Its gas mileage is exceptional for the segment. It's probably a little light on features which can add to the price. It's big brother, the CX7/9 is very well appointed, but does not come close to equivalent gas mileage. The Honda CRV is very quiet and and gets great gas mileage, on the other hand. You can find quite a few features for Hondas these days. Looks are subjective, but they don't change them that much from model to model which helps them retain value over time. They're very reliable and other than routine repair, maintenance is an after-thought. I like the Hyundais better than the Kias. While the Kias tend to be feature-rich, they've tended (in the past) to draw criticism for continual "little" problems: ones where you don't have to stop driving it, but still have to go in to the dealer to get fixed. Even with the best warranties in the business, regularly taking your vehicle in is problematic if you have to hold down a schedule like 95% of the population. Hyundais have really gained significant ground in reliability and looks in recent years. The only detractor might be gas mileage isn't typically what is advertised. There was a class action lawsuit in that regard several years ago. Not mentioning Ford might seem to be an obvious omission. I've driven Ford Escapes and found them wanting in a number of areas - notably fit and finish and ease of use (controls/menus). Remember that in the commercials where the comparison-test driver is gushing over the drive, the test driver hasn't had to actually live with the vehicle for any length of time. Plus, there's probably an incentive like "We'll take 15% off this car you're buying if you participate in this commercial." People who state "opinions" for money should be scrutinized. Like in life, aesthetics begin to pale in the long run if core characteristics aren't there. And no, I won't launch into a column on relationships although it does apply. As this was originally a letter to my in-laws, I didn't feel comfortable recommending the Escape to them. Recommending vehicles to relatives can be a tricky business (: One last word of advice: If your relatives ask for advice on purchasing a car, never actually select a specific car for them unless you are nearly 100% certain that it will be what they want. Sign a car "pre-nup" or something similar absolving you of any responsibility. Seriously, though, if you choose a specific car and it has problems, the finger will always point back to you. Fortunately, my relatives understand that used cars will have some repairs so it's gone a long way to my continued help in their purchases. 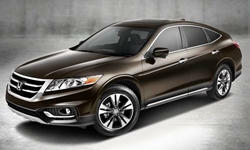 You're least likely to have problems with another Honda or Toyota. 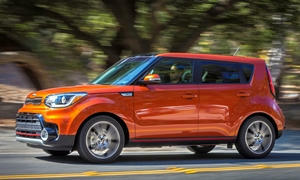 Another car worth considering, though, is the 2014 and newer Kia Soul. The seating position, outward visibility, and amount of space for the price are exactly what many people are looking for. Skip the Benz, Bimmer, go for the Buick, says Consumer Reports. 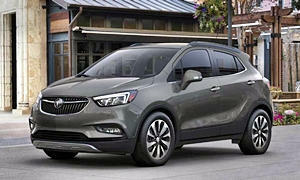 Look online for the $16-000-18,000 Buick Encore for seniors. Easy to get in and out of and very easy drive and park. Want more luxury than the Encore. 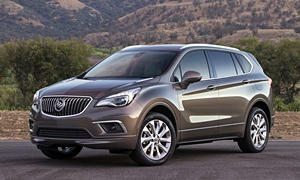 Consider the well equipped and bigger Envision also advertised online for $26,000 range.